Dazz Band co-founders Kenny Pettus and Michael J. Calhoun (along with new members George Pearson, Eugene Wilson, Daniel Spearman, Rick Marks, Joseph Payne, Ollie Bohannon, Danny Wilson, Moe Betta Beatz) have reclaimed the funk with their new version of the Kinsman Dazz Band - now called the Kinsman Dazz Band All Stars, and it sounds to us like they’ve hit the mark with the brand new single, “Soul Jam.” The song is a cool blend of soul, funk and dance music that should sound just right for steppers. And the message is as fun as the musical vibe. 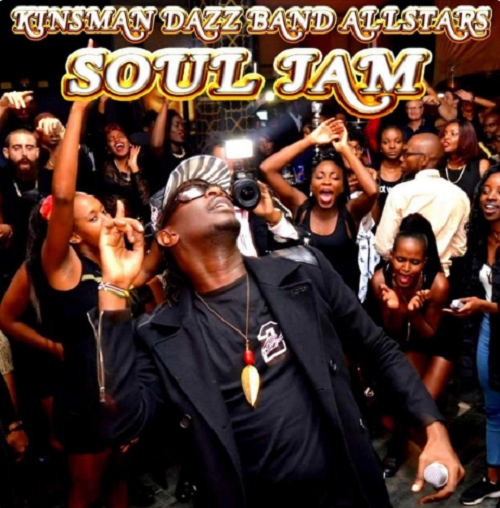 Kinsman Dazz All Stars - "Soul Jam"